Aeronautic maps published by the U.S. Air Force. 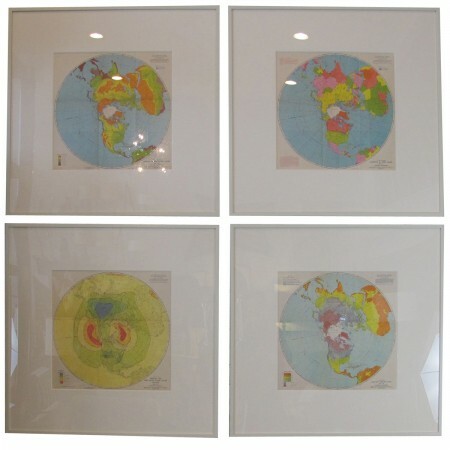 Charts document annual precipitation, climatic zones, etc. 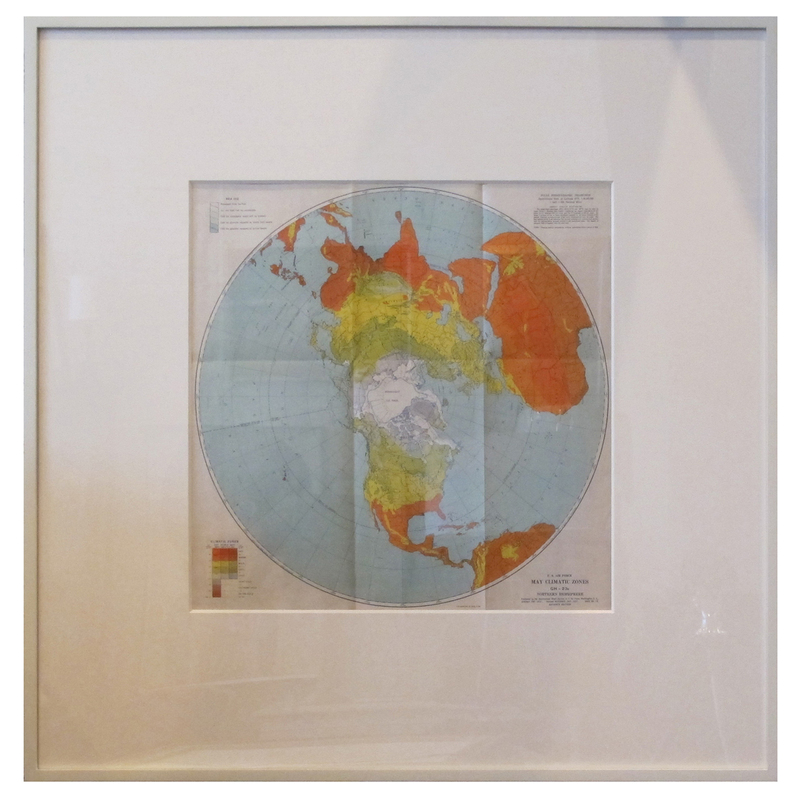 Newly framed in white painted wood frames with acid-free mats and UV protective acrylic. 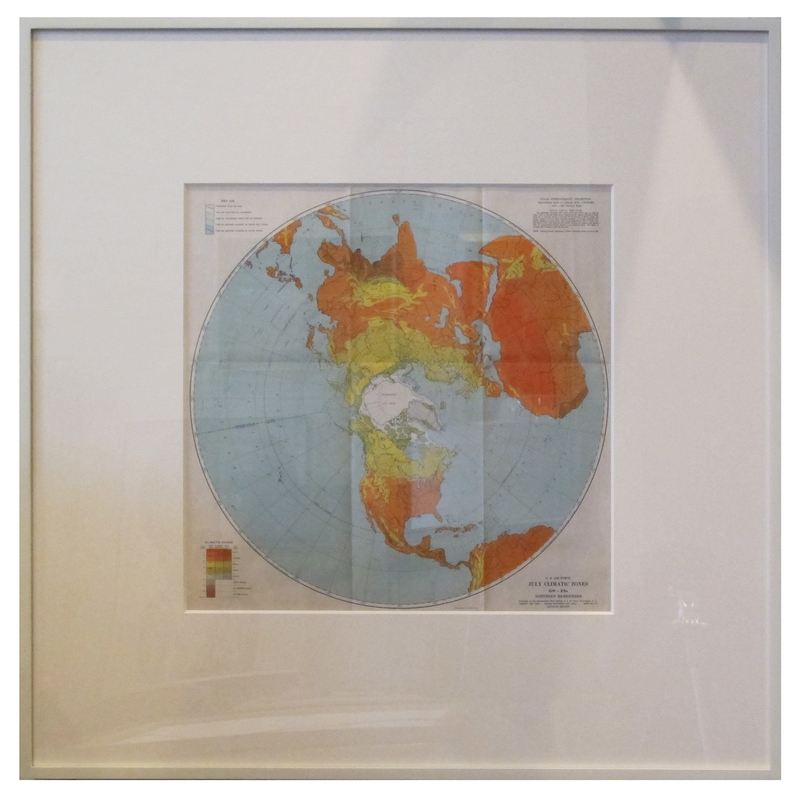 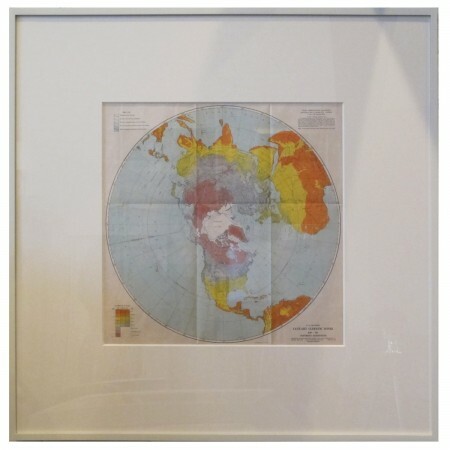 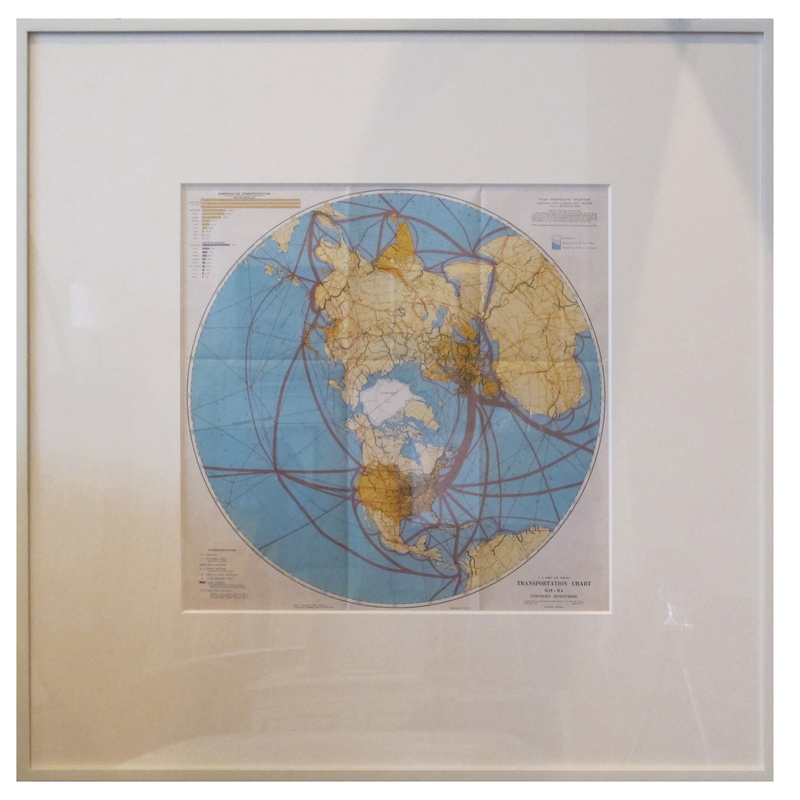 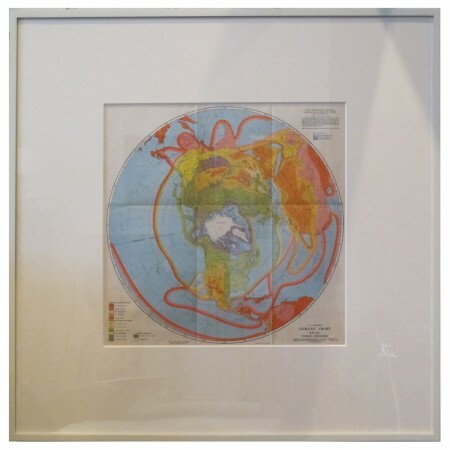 Dimensions below are for the frames; the maps measure 18″ square. 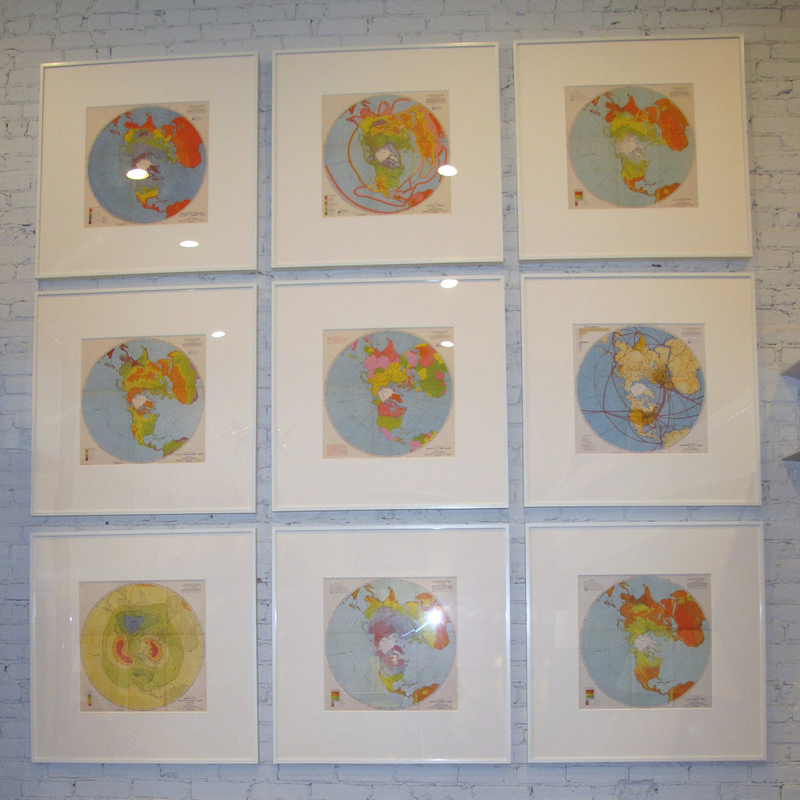 Price is per individual map. 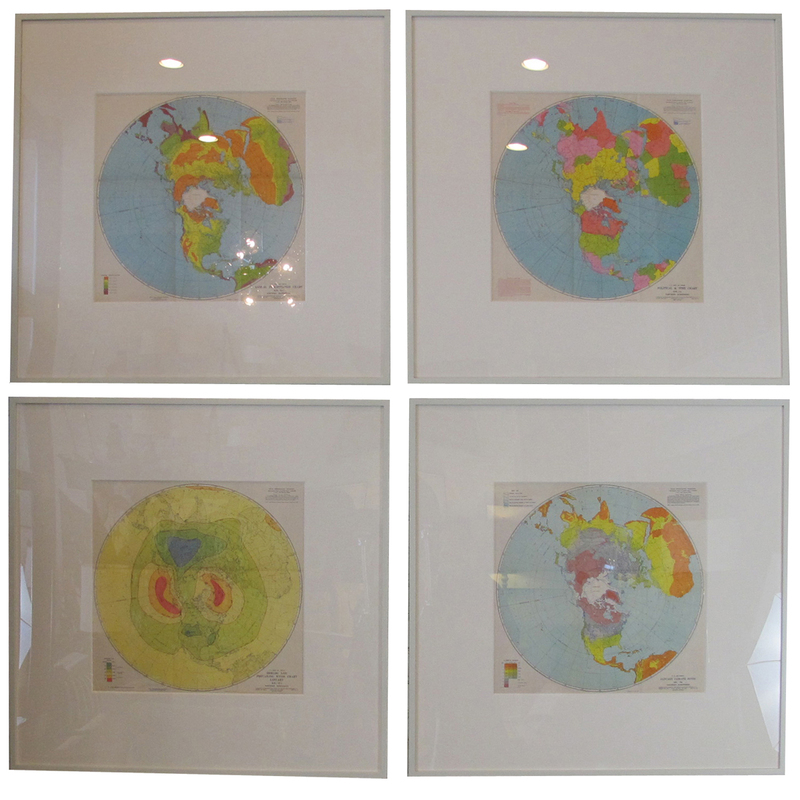 Nine different maps available.